**For 100% authenticity, leave the beef out. 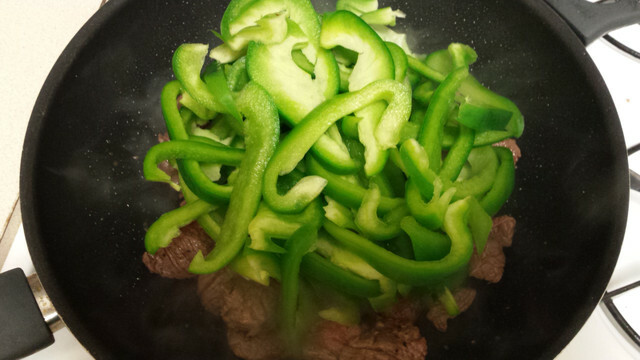 “Making the Beef with Bell Peppers! First, start by prepping the sauce. 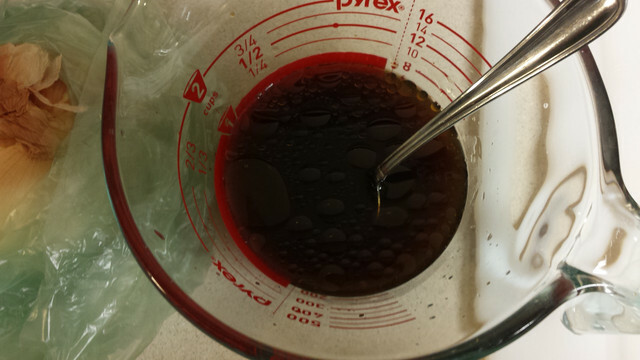 Combine the water, soy sauce, rice wine vinegar, buillion paste, and sesame oil. Set aside. 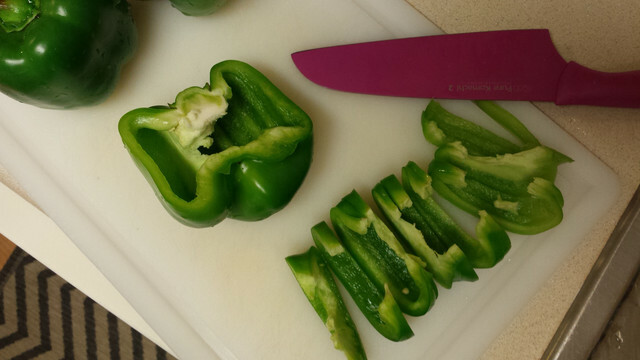 Then, slice bell peppers in half, and scoop out the seeds and pith on the inside. Thinly slice. 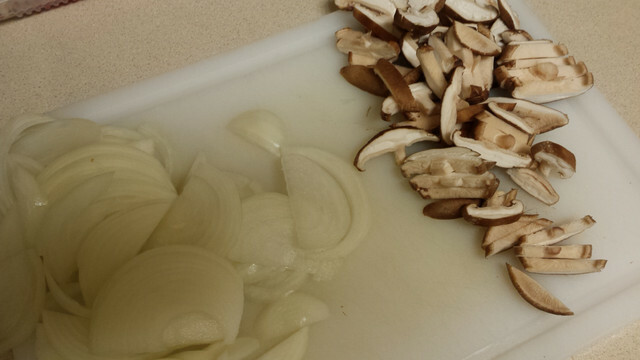 Prepare the onion and mushrooms by thinly slicing. Also, finely mince your garlic. I like to grate mine. While doing that, heat a pan on high, and put a splash of oil in the pan. When heated up, throw the beef pieces in. Salt and pepper well. 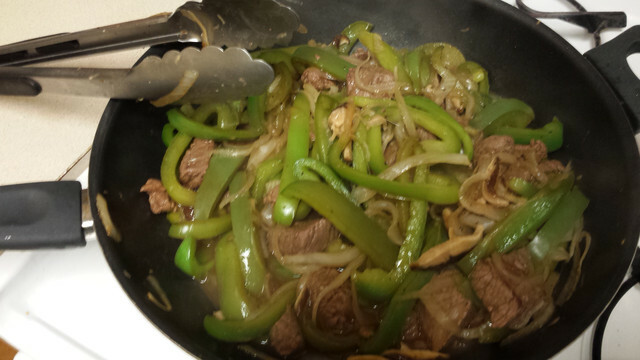 When mostly brown, push to the outer edges of the pan and throw in bell peppers. 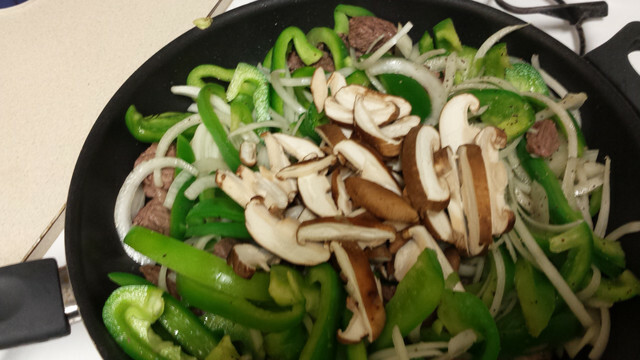 After a minute, make room for the onions, mushrooms, and garlic. Salt and pepper again to make sure everything is nicely seasoned. It was at this point that I realized I was sorely in need of a bigger pan. I implore you, if you make this…it makes a LOT. Use a big pan!! Save yourself the worry. 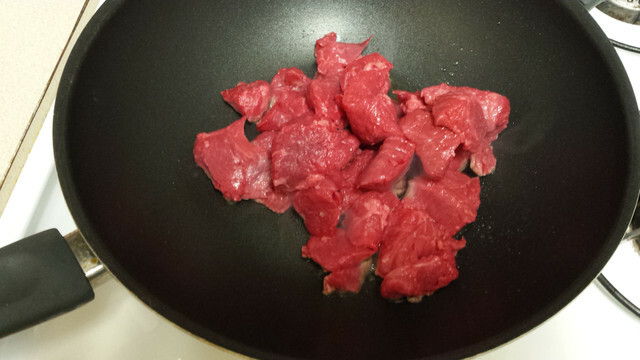 If you don’t have a big pan…just keep on tossing so everything cooks evenly. Once everything has had a minute to start a-cookin, pour in the liquid and toss. Allow everything to simmer down! 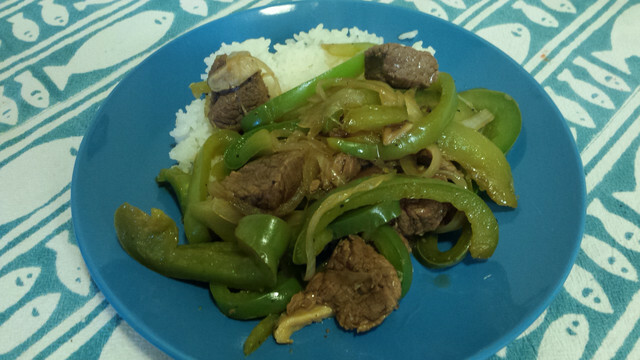 I ended up using a cornstarch slurry to thicken the sauce a bit, since I like thicker sauces. 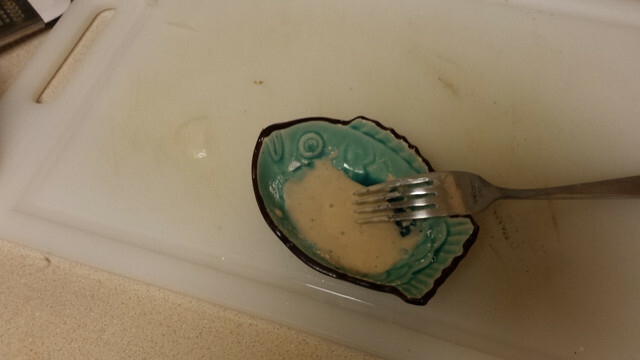 To do this, just mix a little of the sauce together with some cornstarch. At some point, shake over a bit of paprika to add an extra kick. Serve over rice. I bought mine from the Hawaiian BBQ place right next to my new apartment, because I can’t be bothered to cook my own. This was really easy to make! Besides chopping veggies, there isn’t much to it, which is possibly what makes it such a famous dish with the crew of the Bebop. This recipe makes a ton- it can feed at least 4-6 people, and will definitely feed ME for many moons.